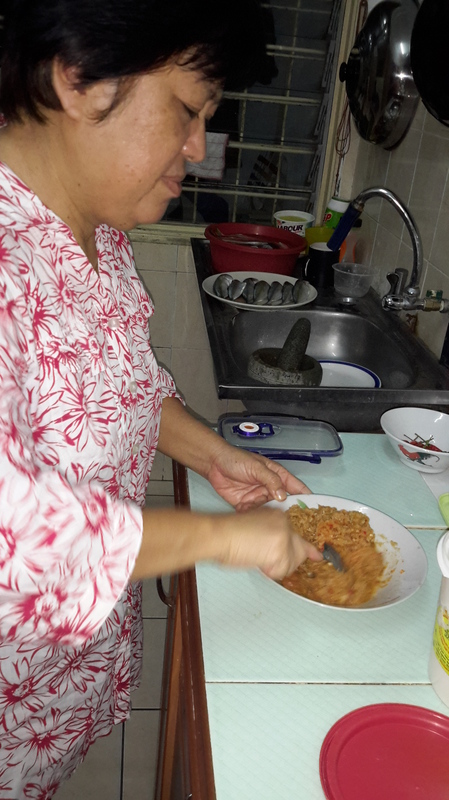 Its almost Harvest Festival @ Kaamatan here now, and I think it is appropriate for me to upload my Dad’s Tuhau Recipe. It is as easy as ABC. 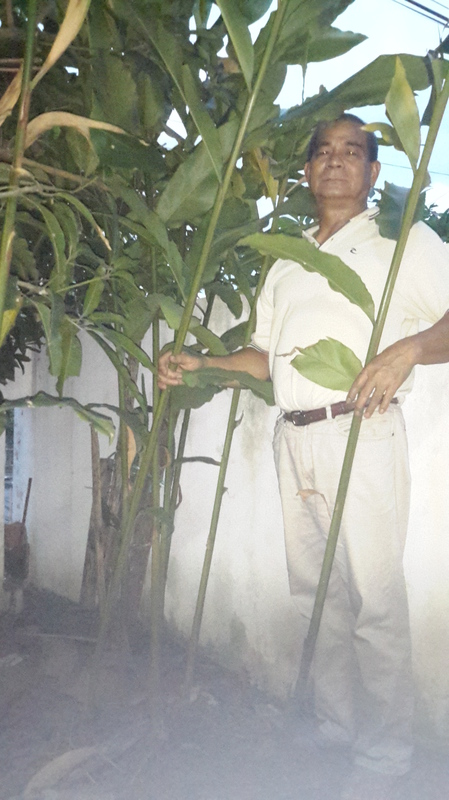 This is my Bapa ( Father ), standing up next to his Tuhau ( Etlingera ) plant. 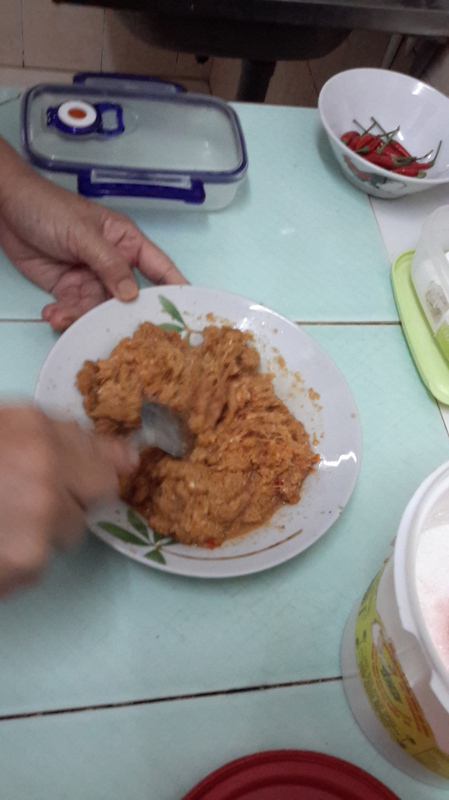 Tuhau, a wild ginger of Etlingera Coccinea is hailed as a delicacy with nutritious and medicinal values by the KadazanDusuns. Our people are particularly familiar with this plant because it can be found in the secondary forest, where there are KadazanDusuns settlements. 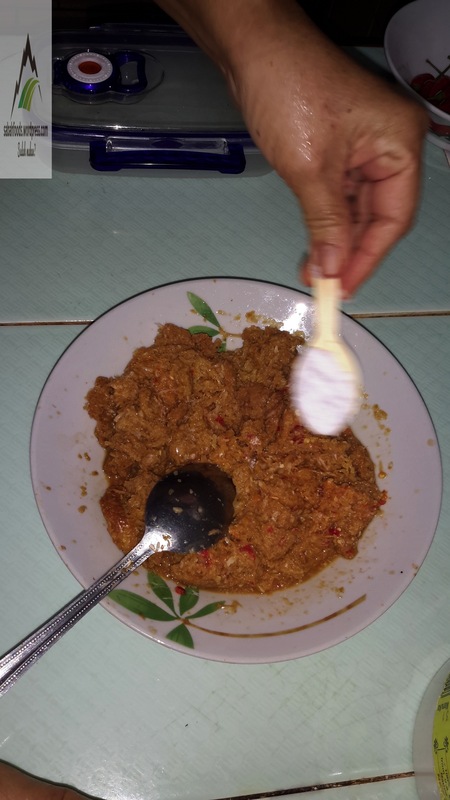 As I have said before, herein, and I will say again, that ‘Tuhau’ is a flexible delicacy and so is its method of cooking may vary according to your taste, origins and creativity. 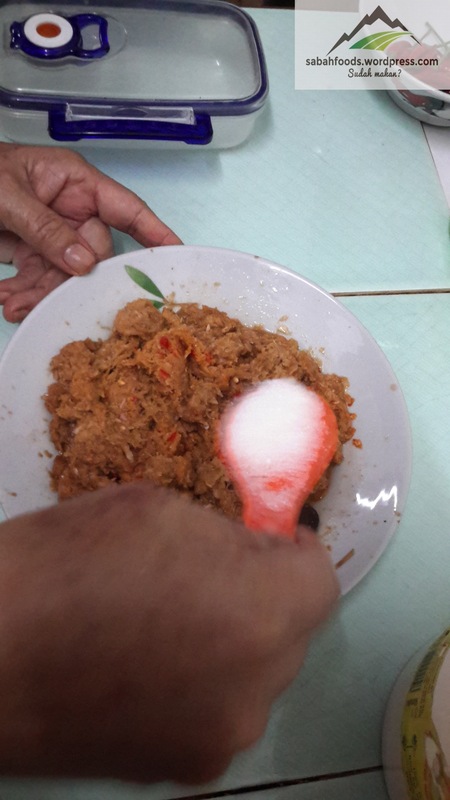 Below is the recipe from my personal chef, my Dad. 1. Remove the hard layer of the shoots and chopped them thinly. 2. 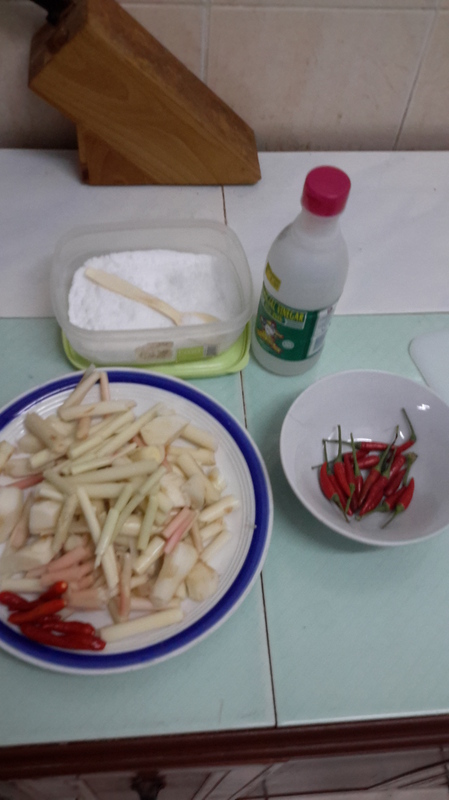 Prepare Vinegar, Bird Chillies and salt. 3. Mash them all together. **Serve with salted fish or ‘Ambuyat’ (starchy bland substance derived from the interior trunk of the sago palm) to enhance the taste. The genus Etlingera and more than 50 other genera belong to the family of gingers (Zingiberaceae) that is distributed throughout all tropical regions (S America, Africa, Asia and Pacific) and as far south as New South Wales in Australia and as far north as the Himalayas and Japan. None of the species are poisonous but some of them have a bad smell or taste. 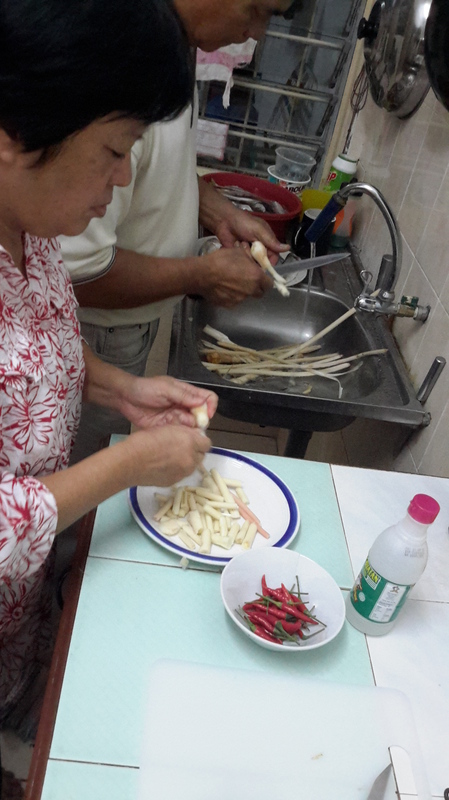 Etlingera foetens , which is in the same genus as tuhau , is used by the Iban people in Sarawak as a dog repellent. This species and a few others some of which also occur in Sabah have a smell of diesel or soap. Other species, I have come by, have a taste of lemon or licorice. When making collections to document the species, I usually taste a bit of the base of the leaf shoot or rhizome. Sometimes the taste can assist me in the identification. I would love to say thanks to Dr. Axel Dalberg Poulsen, Head of Botanical Garden ,Natural History Museum, University of Oslo for responding my relentless emails and in helping me to understand Tuhau better. Also, last but not least, to my Bapa and Mama to always support me irregardless. 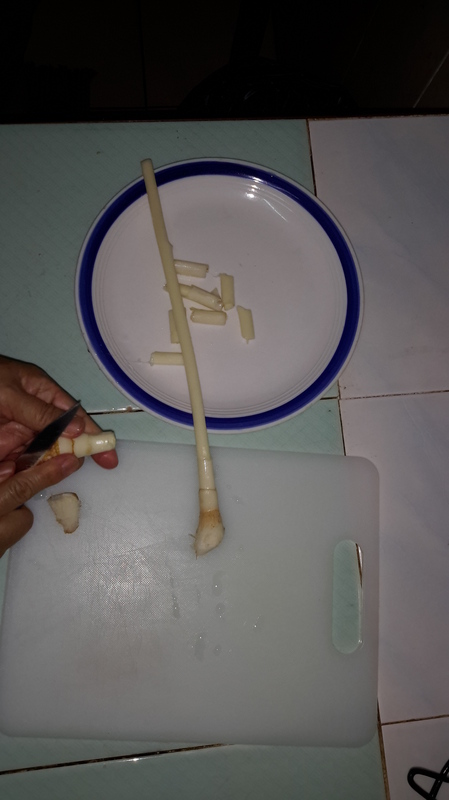 I grew up eating Tuhau and I still do. Happy Kaamatan. **Jeannette’s recommendation. Chemical reactions inside the mouths may vary. Next Next post: Dad coined the term organic waaaay before hipsters do.